It was a crisp winter day in the Ardennes. I was walking along a narrow street in the village of Redu with my (then) mother-in-law. We had been eating raspberry crêpes in a little café by a frozen water-pump, and were feeling pretty self-satisfied. Or I was, at least – she may well have been bored with the whole strange day’s outing. In my hand I held a paper package which had cost a thousand Belgian Francs (c. $NZ50). It was a three volume edition of Weil’s German translation of the Thousand and One Nights, with lively little line-drawings on almost every page. My German is too rudimentary for me to read the text without difficulty, but I could make out enough to know that this was something special: an entirely new version of the collection. Redu is famed in Belgium as the village of second-hand books. Virtually every house has a store of old tomes, arranged in upper and lower rooms and along the winding staircases. It was a cold day, and few of the buildings were heated, so my long-suffering companion must have had to wait in quite a few freezing basements as I snorted and snarked my way through heaps of books in French, German, Dutch and (occasionally) English. Snorted and snarked? A somewhat curious locution, you think? It' s not mine: I'm quoting it from the first volume of Richard Burton’s Arabian Nights, where the author vaunts himself on never hesitating “to coin a word when wanted.” The other example he gives in his preface is “when the dust-cloud raised by a tramping host is descried as ‘walling the horizon’” (Burton, 1885, 1: xiv). That’s a strange thought for a frosty day in North-western Europe – a desert sandstorm extending above the horizon in a single blue-black wall with the sky visible above it! I’ve seen the same effect here at home with storm-clouds over the Waitakeres, the range of hills west of Auckland. During my long years of official banishment to the luxuriant and deadly deserts of Western Africa, and to the dull and dreary half-clearings of South America, it proved itself a charm, a talisman against ennui and despondency. (Burton, 1885, 1: vii). “A talisman against ennui and despondency.” Is that all it is? Is that the secret of the Thousand and One Nights – a charm against boredom? I don’t think that's what I told Anne Jensen as we strolled through the streets of Redu, but it’s hard now to be sure. It's almost fifteen years ago. I supose that I tried to explain to her some of my theories about the origins and character of the book. I doubt she felt much the wiser at the end of my speech. There was certainly a good deal to be said for her question. Why does this guy insist on buying so many copies of the same book? And why do they all have to be in different languages? She had already seen me, that year and at previous Christmases, gloating over versions in Italian, German, Spanish, and even Arabic. A harmless monomania perhaps, but an inconvenient one – one, what's more, that put other people to a good deal of trouble and expense! ["I know I’ll never read all of them, but I know that there the nights are waiting for me; that my life may be wretched but the seventeen volumes will be there; there will be that species of eternity, The Thousand and One Nights of the Orient.” (Borges, 1986, p. 50)]. “Desdichada” = wretched, unhappy … it seems to be a constant theme. The fascination of the Nights can remain intact for Borges as long as he never reads his way to the end of the seventeen volumes. Alas, I have read my way to the end of Burton. “La chair est triste, hélas ! et j’ai lu tous les livres.” No! It wasn't true for Mallarmé, nor is it true for me. I may have read Lane, and Burton, and Galland – but then there are all the commentaries, and the cognate works (I’ve read most of those, too), and the other translations: Payne, and Littmann, and Weil, and then, of course, some day, the Arabic. “The really disquieting thing,” though, she goes on to say, “… is that there is no saying for what unexplored regions I will find myself heading next.” The Nights may be vast, but they are at least bounded – the requirement of a thousand and one nights of story-telling gives them a shape which is lacking to the Romance of Baibars, or ’Antar and ’Abla, or even – most evocative name of all – The Ocean of the Streams of Story. Borges, Jorge Luis. (1989) Las Mil y una noches. Siete noches. 1980. Obras completas: 1975-1985. 3 vols. Buenos Aires: Emecé Editores. 3: 232-41. Borges, Jorge Luis. (1986). The Thousand and One Nights. Seven nights. 1980. Trans. Eliot Weinberger. 1984. London: Faber. 42-57. Burton, Richard F., trans. (1886-88). 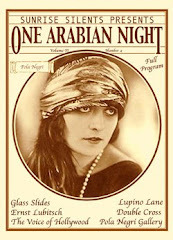 Supplemental Nights to the Book of the Thousand Nights and a Night with Notes Anthropological and Explanatory. 6 vols. Benares [= Stoke-Newington]: Kamashastra Society. 7 vols. N.p. [= Boston]: The Burton Club, n.d.
Gerhardt, Mia I. (1963). 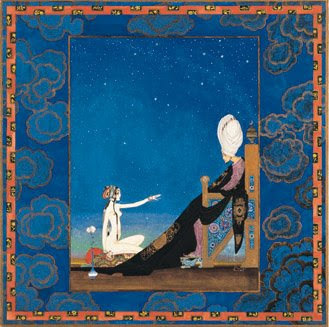 The Art of Story-Telling: A Literary Study of the Thousand and One Nights. Leiden: E. J. Brill. Payne, John, trans. (1882-84) The Book of the Thousand Nights and One Night; Now First Completely Done into English Prose and Verse, from the Original Arabic. 9 vols. London: Villon Society. Richmond, Diana. (1978). 'Antar and 'Abla, A Bedouin Romance. London: Quartet Books. Penzer, N. M., ed. (1968). The Ocean of Story: Being C. H. Tawney’s Translation of Somadeva’s Katha Sarit Sagara (or Ocean of Streams of Story). 1880-84. 10 vols. 1924. Delhi: Motilal Banarsidass. Weil, Gustav, trans. (c.1960). Tausendundeine Nacht. 1838-41. Ed. Inge Dreecken. 3 vols. Wiesbaden: R. Löwit, n.d.